Rainbow Stamp Club is for all Stamp lovers and objective of this club is to create philatelic fraternity around the world. 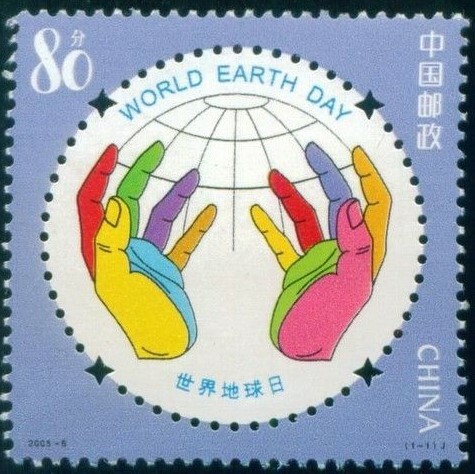 2019 theme for Earth Day, to protect threatened and endangered species. 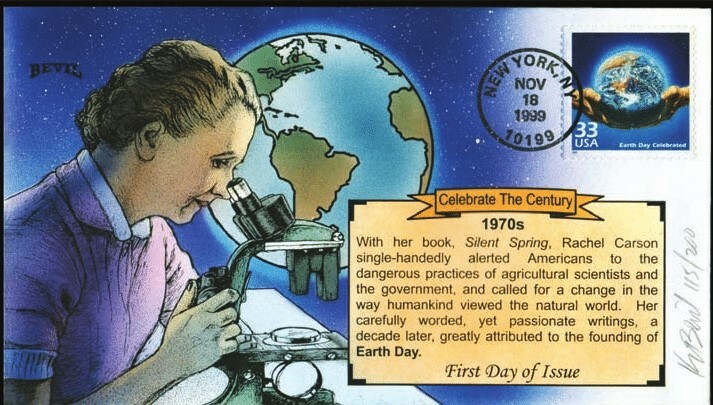 In 1969 at a UNESCO Conference in San Francisco, peace activist John McConnell proposed a day to honor the Earth and the concept of peace, to first be celebrated on March 21, 1970, the first day of spring in the northern hemisphere. 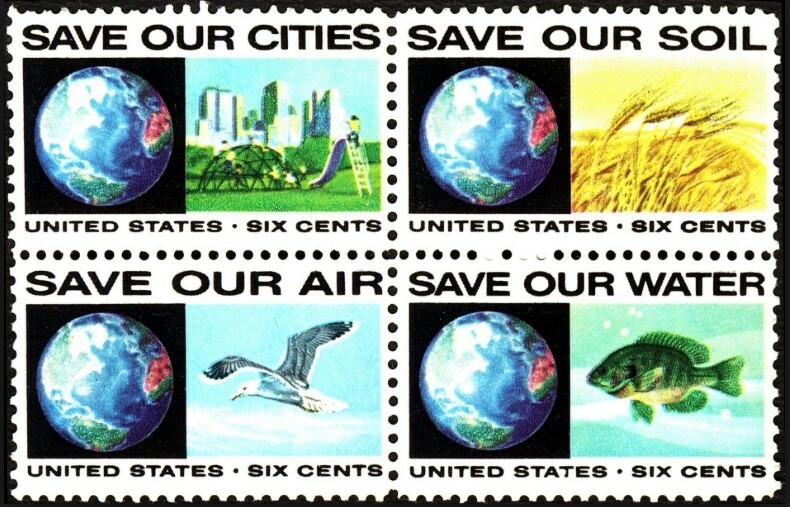 This day of nature's equipoise was later sanctioned in a proclamation written by McConnell and signed by Secretary General U Thant at the United Nations. 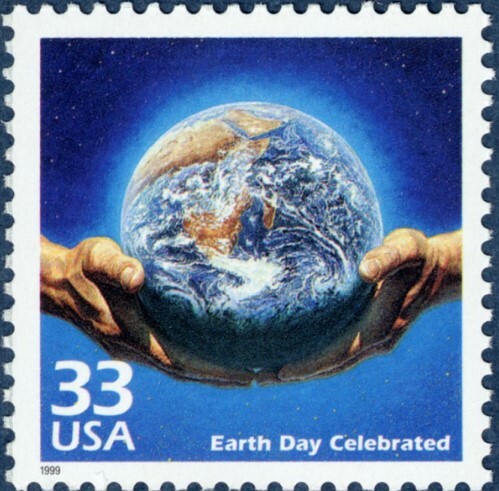 A month later a separate Earth Day was founded by United States Senator Gaylord Nelson as an environmental teach-infirst held on April 22, 1970. A special philatelic exhibition on Music theme will be held from June 8th to June 10th 2019 in Mondorf-les-Baines (Luxembourg).Indian Philatelists and philatelists from other countries will be participating in this exhibition. 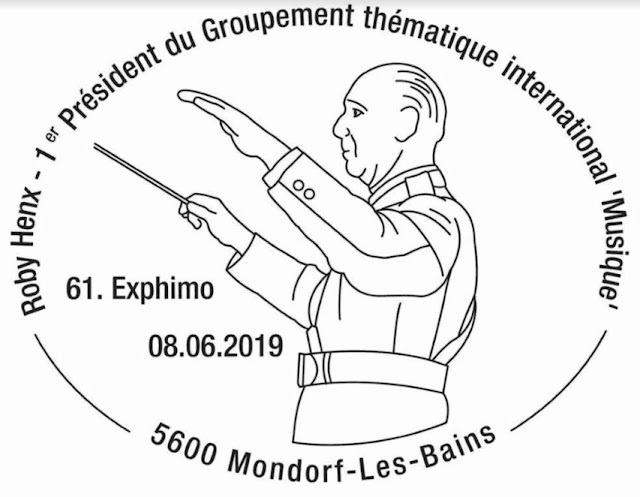 A special pictorial postmark for the Exhibition PHILAMUSICA will be provided during exhibition in Luxembourg. 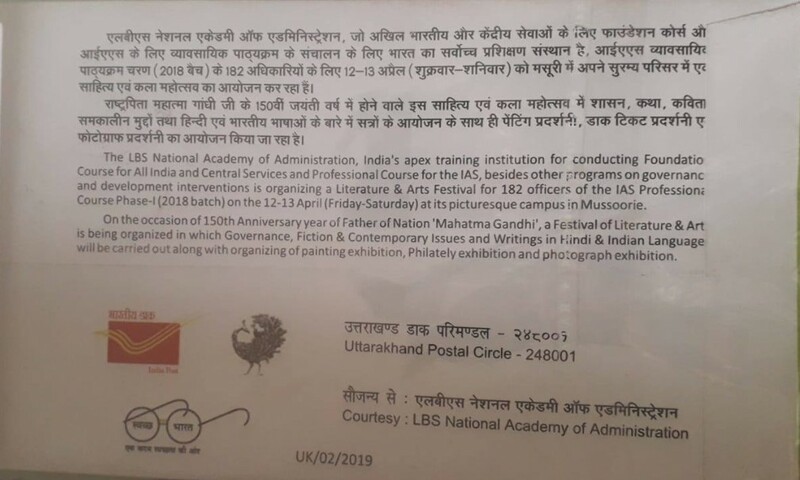 The LBS National Academy of Administration, India's apex training institution for conducting Foundation Course for All India and Central Services and Professional Course for the IAS, besides other programs on governance and development interventions is organizing a Literature & Arts Festival for 182 officers of the IAS Professional Course Phase-I (2018 batch ) on the 12-13 April(Friday-Saturday) at its picturesque campus in Mussoorie. On the occasion of 150th Anniversary year of Father of Nation 'Mahatma Gandhi', a Festival of Literature & Art is being organized in which Governance, Fiction & Contemporary Issues and Writings in Hindi & Indian Language will be carried out along with organizing of painting exhibition, Philately exhibition and photograph exhibition. to commemorate the festival a special cover was also issued by Uttarakhand Circle of India Post. Shri Veerabhadreshwara Temple Humnabad built in 1725 by Raja Ramchandra Jadhav and dedicated to Lord Veerabhadreshwara another form of Lord Shiva. Temple is famous for its moving pillars. A Seven days annual Veerabhadreshwara Jatra is being celebrated in the month of January in a massive way. The devotees come during jatra for performing FIRE WALK. Sukshetra Harkud Hiremath Sansthan, Harkud, Taluk Basavakalyan is part of an important cultural heritage of Veershaiva s in Karnataka. 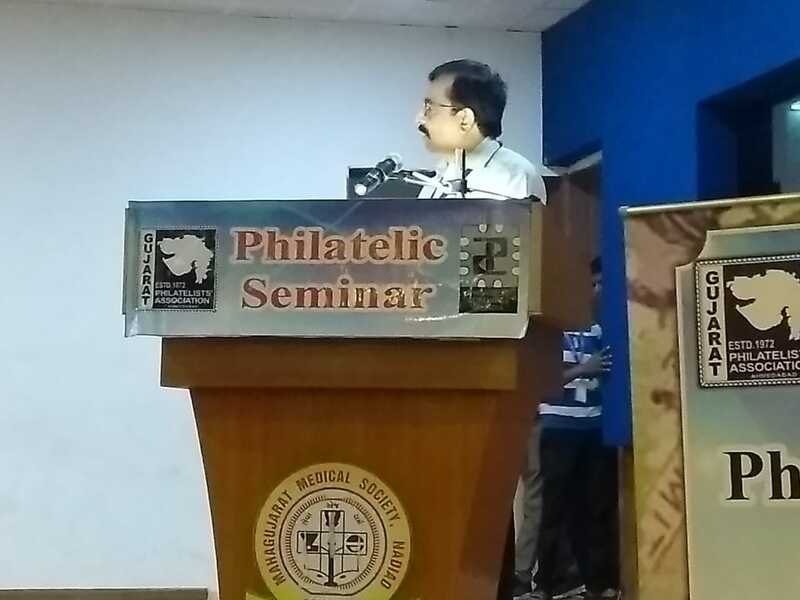 With a significant & unique history Shri Math contributed and supported the socio-reltgious reformation movement in 12th century. 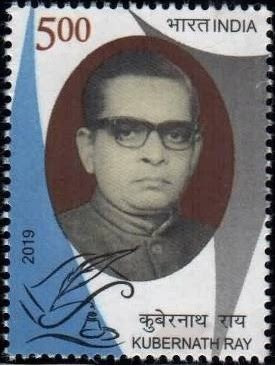 Established as a Sutra Math of Shri Rambhapuri Acharya peeth, today with good governance of its 8th peethadhikari Shri Sha. Bra. Dr. Channaveer Shivacharyaru, evolved into a center for spirituality, education, religion, culture and literature. 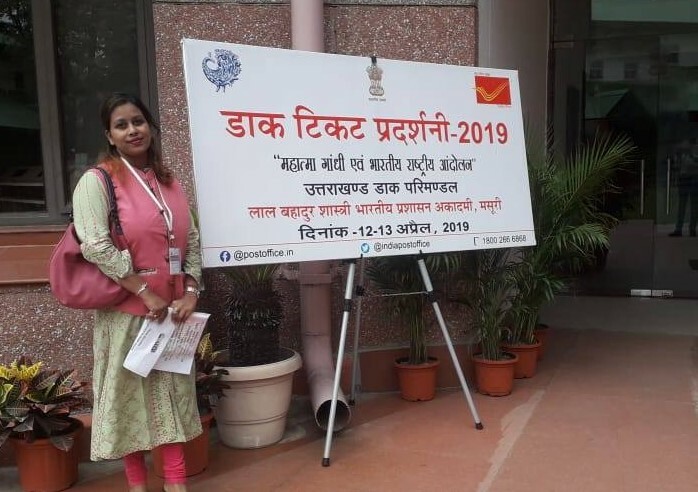 This special cover depicts World Braille Day, which is being celebrated every year on January 4th, the birthday of Louis Braille who is inventor of Braille Script. 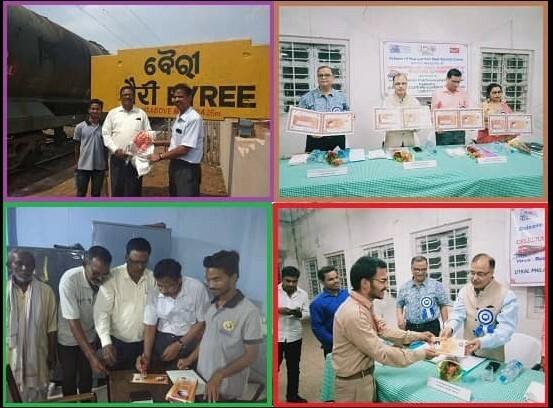 Mahatma Gandhi resumed the second phase of Harijan Padyatra from Byree Railway Station in Jajpur district, Odisha. India Post and Utkal Philatelists' & Numismatics, Association released a special carried cover on 20th March 2019 to commemorate this historical journey. 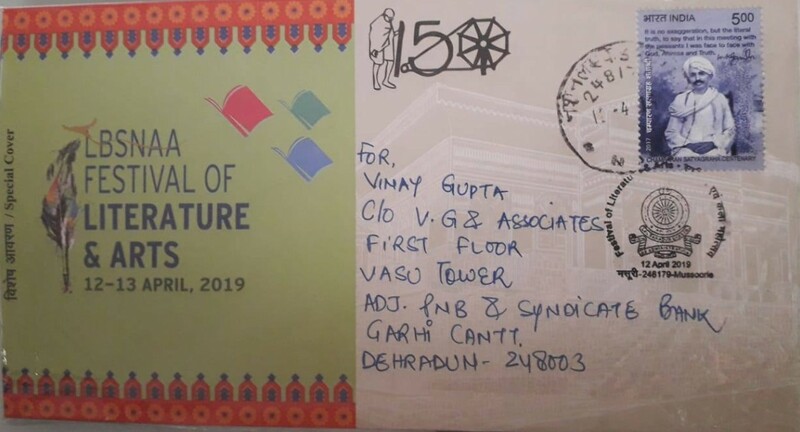 The cover has been designed by Mr. Ajit Kumar Raut. 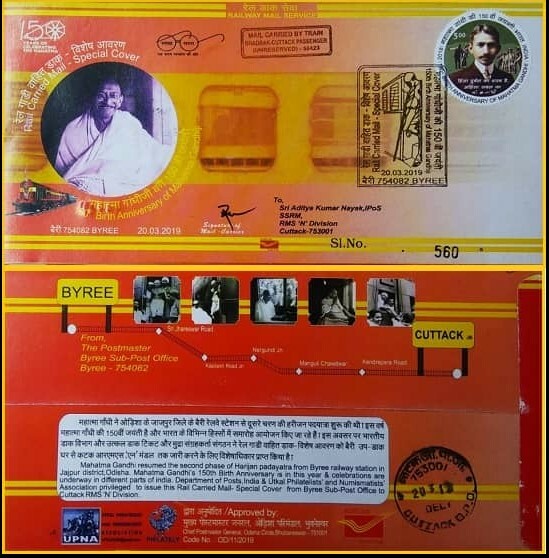 This special cover was carried by Bhadrak-Cuttack passenger train. 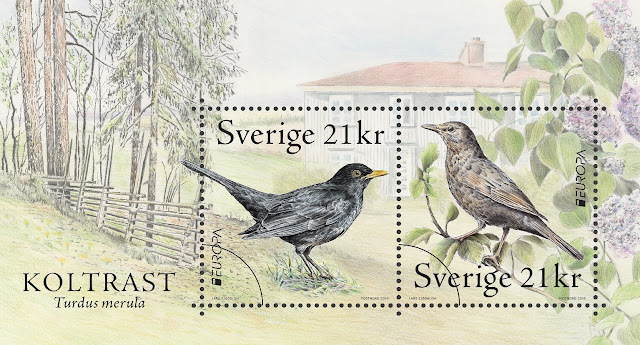 Selected for the national bird of Sweden for the second time. The beautiful blackbird breeds both in the city, in the countryside and in the woods, and is found throughout the country, with the exception of the mountain range. 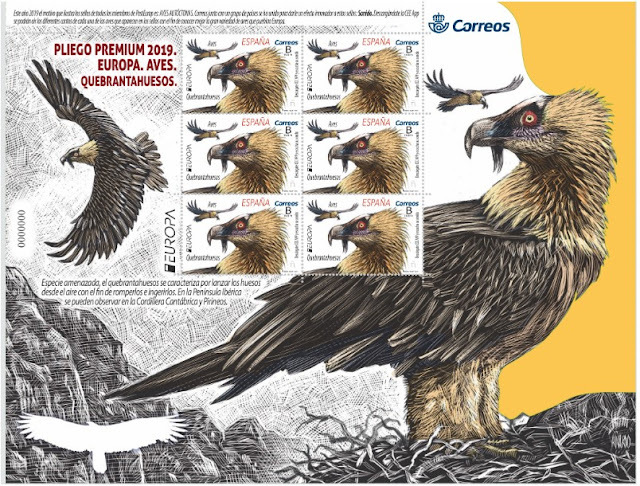 Spain issues a Premium Sheet with six stamps, which has as protagonist the lammergeier. 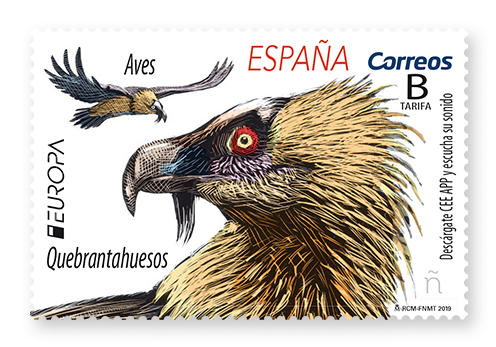 The flight of the bearded vulture over the Pyrenees impresses everyone who has the opportunity to see it. This bird is adapted to live in the harsh conditions of the high mountain. Its anatomy is unmistakable. It is a large bird that can reach more than 2.80 meters. Normally it does not emit any sound being a quite silent bird, but during the time of estrus, it produces long and piercing whistles. Its name is due to the way it has to feed itself. It is the last link in the use of the carrion because it is nourished by bones and tendons thrown from a certain height against the rocks to cut them. The area where this activity is carried out is called "breakwater". The European robin, known simply as the robin or robin redbreast in the British Isles, is a small insectivorous passerine bird, specifically a chat, that was formerly classified as a member of the thrush family but is now considered to be an Old World flycatcher. 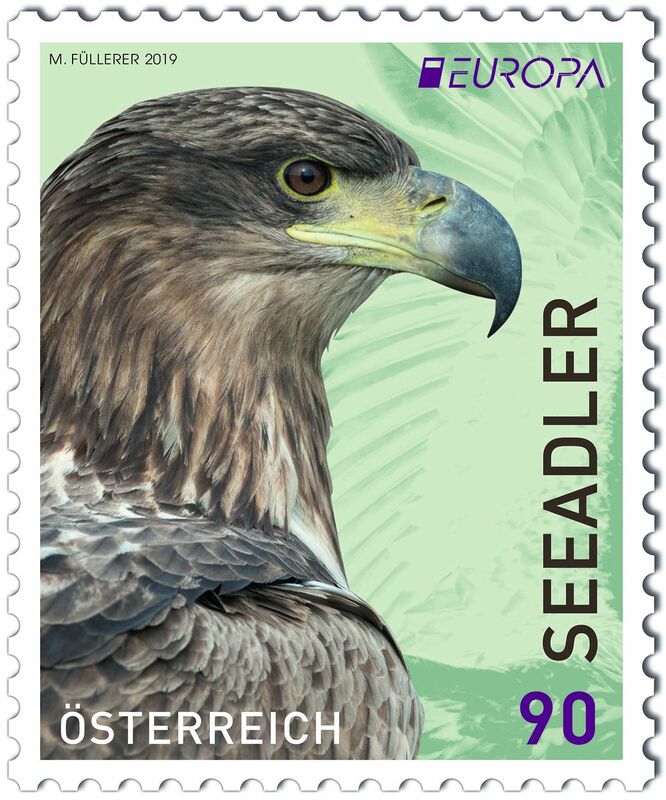 The white-tailed eagle is a very large eagle widely distributed across Eurasia. As are all eagles, it is a member of the family Accipitridae which includes other diurnal raptors such as hawks, kites, and harriers. 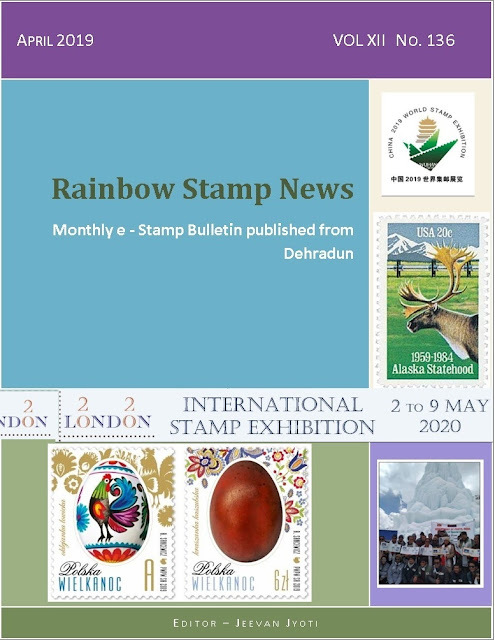 Welcome to Rainbow Stamp Club ! The views expressed in the articles published on Rainbow Stamp Club are solely those of the authors and contributors, and do not necessarily reflect the views of the Blog Owner. The Readers are requested to contact author or the contributor of the particular article if they have any objection or do not agree with the views expressed in the article . Please do not ask the Blog Owner to delete or change any Post published on this blog.The Post will be removed only after strong recommendation of the original author / contributor after proper verification . All contents provided on this blog is for information only. 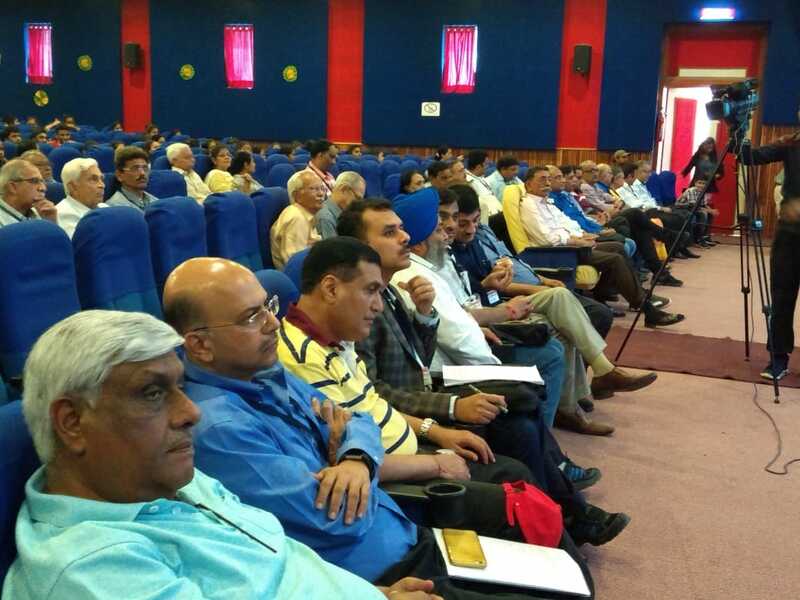 The owner of this blog makes no representations as to the accuracy or completeness of any information on this blog or found by following any link on this blog. The owner will not be liable for any errors or omissions in this information nor for the availability of this information. The owner will not be liable for any losses, injuries, or damages from the display or use of this information. 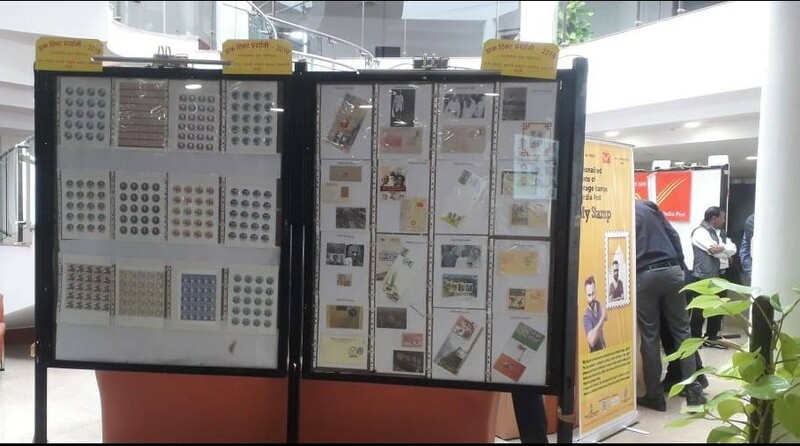 For All Stamp Lovers ! 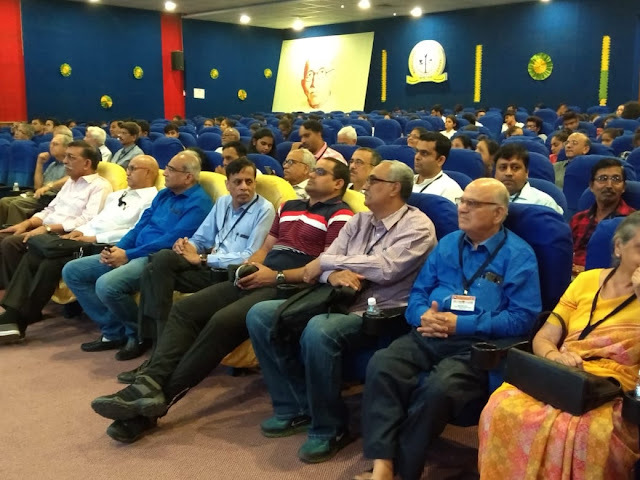 We are introducing our members through this Blog. Visitors may send details about themselves, collecting interests and webpages for inclusion in this Blog to- j.jyoti9@gmail.com .Philatelists may also write their experiences and views.Philatelic Clubs and Societies are invited to send brief write ups. 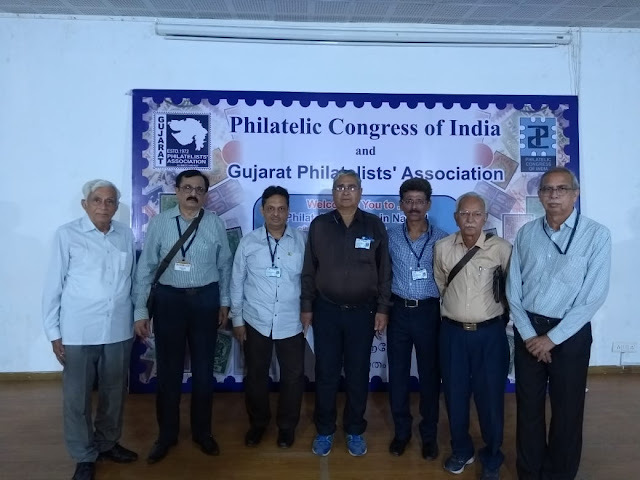 The idea to start this club is to create interaction between the members and develop fraternity among philatelists round the globe. 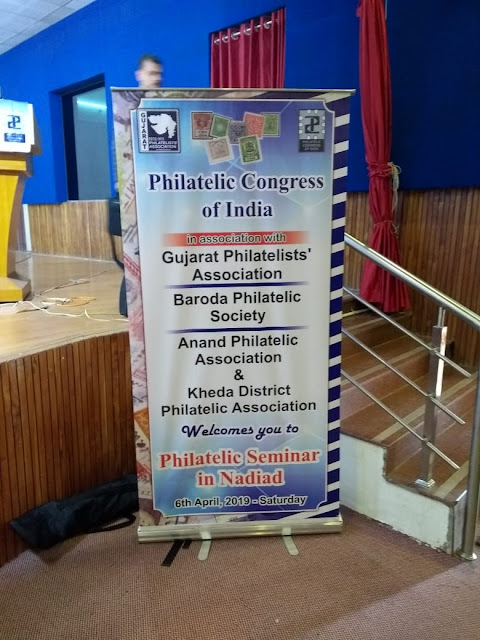 This is to inform all our readers that we are amateur philatelists and do not sell any item. 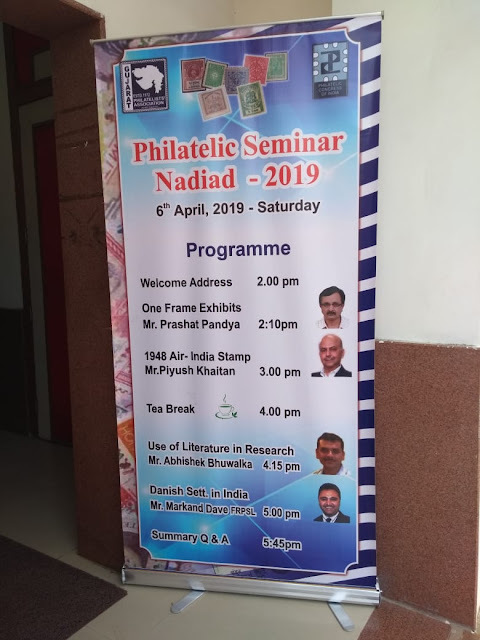 We are receiving mails from many readers regarding the price of philatelic items published on this blog. This media is not used for any commercial purpose. 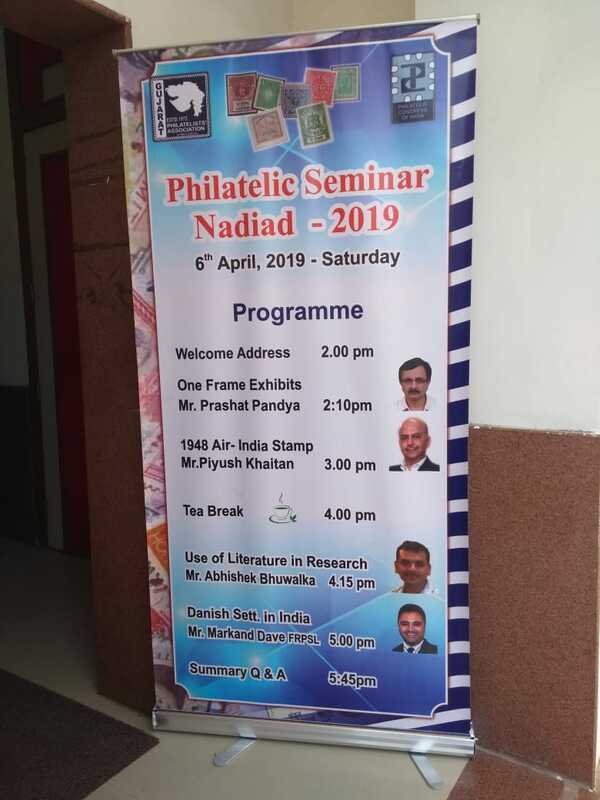 So please do not write to inquire the price of the items published here.However an exchange of stamps and covers from the collectors all over the world is most welcome.